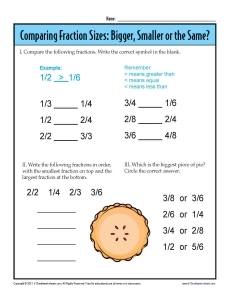 Comparing fractions takes practice, which is what this worksheet provides! Your student can compare different fractions to determine which is bigger, which is smaller and which are the same. Useful for Common Core Standards for Number and Operations - Fractions for the 3rd grade, it is helpful for other grades as well.